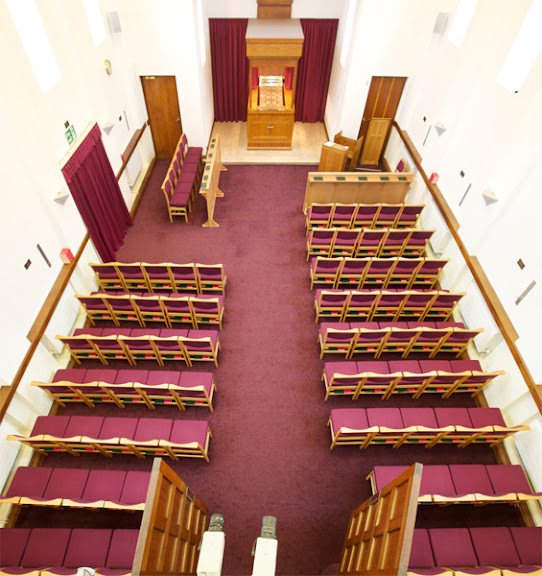 These pages are here to help Â you select the right venue for the funeral service. We will of course be happy to discuss your requirements with you, however you may find it helpful to review these pictures and their descriptions at your convenience. It is modern and comfortable. Everyone has a good view of proceedings. The Catafalque is central and the curtains, should you decide to use them, are just visible in this picture, and close very close to the coffin. This is a good chapel for family members to carry the coffin as there are no steps or low doors to negotiate. Arrangements for music are excellent here as are the staff. We enter via doors at the bottom of the picture and leave through the side doors. 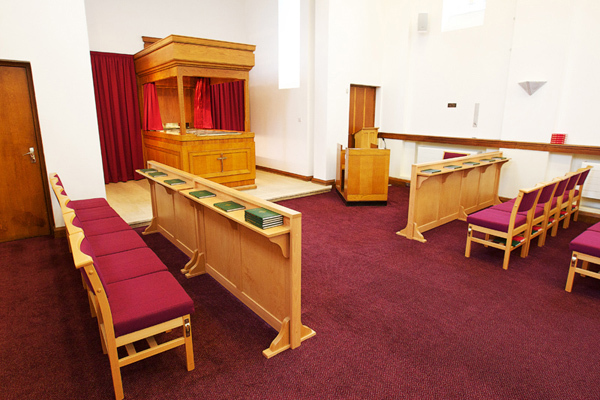 Vinterss Park Crematorium Chapel seats just over 80 mourners plus a small balcony where the picture has been taken from. There are seats on the left hand side, which are usually for family, along with the front rows on the right. As you can see it is a very comfortable and well maintained environment. This is Â where we begin. There is reasonable parking here at the Chapel entrance plus further car park along the drive. 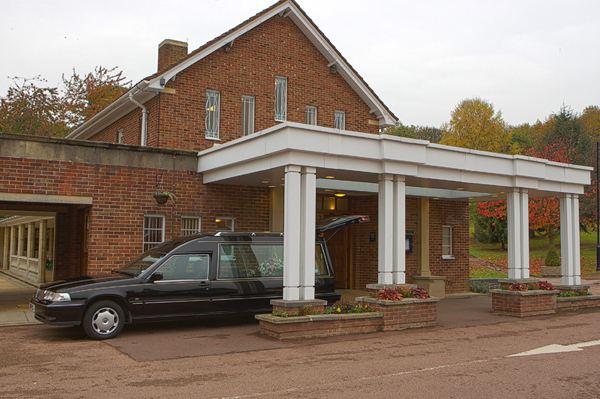 The Management at Vinters Park Crematorium were the first to allow us to place pictures on our website for which we are very grateful. Others have since agreed and their pictures will be included as soon as possible. Just a short note to thank you and all your staff for the utmost compassion and professionalism shown in dealing with my dads funeral….